Erbaluce di Caluso DOCG is one of the 7 Italian vine varieties whose name is strictly connected to its territory, as it is made ONLY in the Canavese area, near Turin. It is an amazing white wine, deep and complex at the same time. 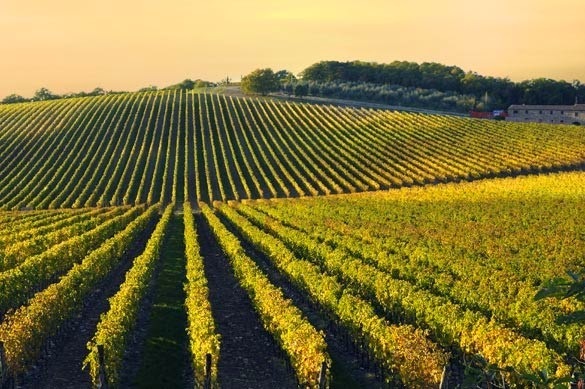 The first records about its production date back to 1606 and it's also one of the first Italian wines to get the DOC certification in 1967, finally upgraded to DOCG in 2010! It can be sweet or dry and take on different "shapes": still, sparkling, passito (raisinated). The Erbaluce production area is rather tiny which explains why this special wine is still not widely known outside of Piedmont and its varieties are often available only in the Biella and Turin areas. According to the legend, Gods and nymphs dwelt on the hills where Erbaluce is made. Among them, there were Dawn and Sun who fell in love, yet their destiny forced them to never meet. With Moon's help though, during an eclipse, their daughter Albaluce, a nymph, was born! Stunned by Albaluce's beauty and grace, the men living on the hills offered her everything they had, till they had to look for new and fertile lands to cultivate. At one point they diverted the lake and the flood killed all their crops. Albaluce's sorrow was so deep that from her tears fallen on the soil a vine sprouted. This is how the sweet Erbaluce white grape was born around the Viverone Lake, near Ivrea, the Canavese capital, in the Turin area. During the Renaissance, bards sang the praises of this wine whose grapes, as Tedeschini said, “shone in the sun with the warm highlights of the verdigris." The jeweler of King Charles Emanuel I, Giovan Battista Croce was the first one to write about this wine in 1606. The name of the grape derives from the color of the grapes during the fall: the pink and warm reflexes become more intense and amber-like when exposed to the sun. This wine is produced by 33 communes in the province of Turin and Caluso is at their center (Northeast of Turin). - freshwater fish, especially the one from the Viverone Lake! For this variant the grapes are allowed to fully ripen in the warm fall days and then they get dried before being pressed. The wine is usually a mix of different vintages and the vinification is usually quite meticulous and long. The passito variety can only be bottled 5 years after harvest and the alcohol content must be 17% minimum. More mature wines can be "riserva" and usually, passito takes 6 years to fully mature. In the end you savor a golden nectar with an exceptional bouquet, this is why passito di Erbaluce has been on the educated wine drinkers' tables for over 400 years! Despite its sweetness, it can be paired with many rich courses! This is the core production of Erbaluce and it is light bodied and crisp like apples, in contrast to the passito version which has distinct flavors of almonds and peaches. It is straw yellow in color with green reflections. To the palate it's delicate, with a fruity and meadow flowers scent, and a distinguishable acidity. Its ageing capacity is of 2-3 years. It goes very well with the local tench (a freshwater fish of certified origin that you can find only in Piedmont! ), marinated trout and even, mocetta, dried and spiced cured chamois meat, typical of the bordering Valle d'Aosta. It is known for its dry, fresh and fruity character, intense acidity and underlying minerality. It is usually light bodied and very rich in bubbles! 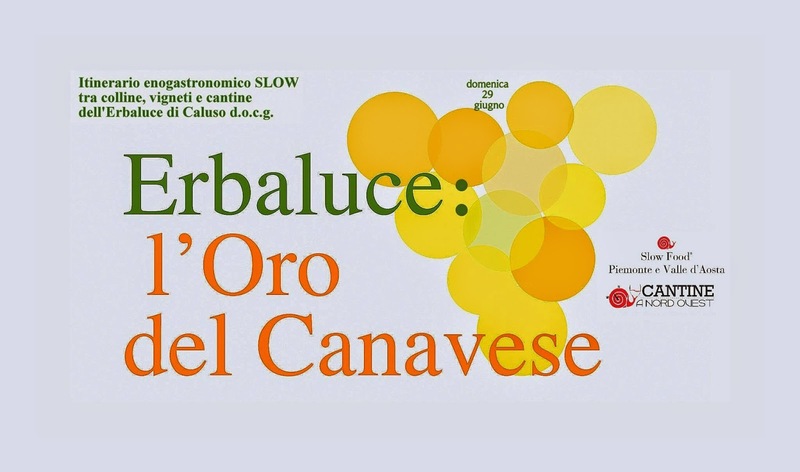 Every year, the Slow Food movement in collaboration with some Erbaluce di Caluso producers organize a real event to celebrate this amazing wine, its varieties and the territories where the vine is grown. Local chefs and food producers participate too and offer the visitors the amazing chance to savor this wine together with the local specialties, such as the local potato salami, risotto, ravioli filled with potato salami, gnocchi with local toma cheese, many local cheeses, different locally beef breeds, honeys, jams, zabaglione, local corn meal cookies, the famous cake made with Passito di Caluso, chocolates, gelato and grappa di Erbaluce! 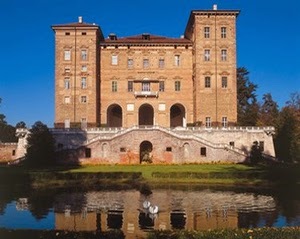 In this area the Middle Ages are still surviving and you can visit the 15 well preserved castles and the many hamlets. The lakes provide a unique scenery for a totally unexpected discovery for all your senses! The Aglie' Castle is just one of the many castles in the Erbaluce di Caluso growing area that you can visit. It's a 12th century castle and its so well preserved and full of the original furniture that many movies and TV series are filmed here! Its park is worth a visit too. Since 1997 it is part of the UNESCO World Heritage as part of the Savoy Royal Residences. 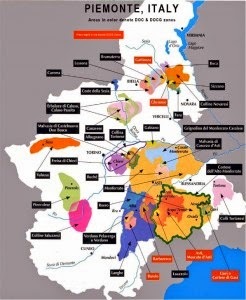 So mark down Erbaluce di Caluso DOCG and the Canavese surrounding area for your next visit to Piedmont.